InvisiTasking monitors volumes for files that are impacting performance and deploys the Instant Defrag™ engine to consolidate the few remaining fragments on HDDs (SSDs excluded) that were not eliminated by IntelliWrite, if any. With Diskeeper Server, optimization is proactive, continuous and seamless. For IT professionals who need to deploy Diskeeper across multiple servers, the Diskeeper Administrator console allows for seamless network deployment – no reboot required. For Windows servers, Diskeeper is the only highly efficient and proactive software for maximum performance—making it the #1 solution for keeping Windows servers running better than new. Instant Defrag™ technology has been enhanced to monitor volumes to resolve critically fragmented files in real-time that are known to cause performance problems, making it SAN-friendly. 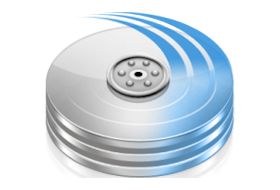 This feature is turned off in the event of solid-state drives. This is the perfect complement to IntelliWrite in the rare instance that not all fragments were eliminated in the first place. Diskeeper requires 250MB of available hardware space. IntelliMemory caching requires a minimum of 3GB of memory on the system and at least 1.5GB of idle, available memory before caching will initiate. Diskeeper Server requires .NET 4. If .Net 4 is not installed on your system, Diskeeper will attempt to download and install it for you. Internet Explorer v11 or later is required to access all the Diskeeper UI features. Stop fragmentation-based lags and crashes on Windows server systems in their tracks – even when demand is at its absolute highest! 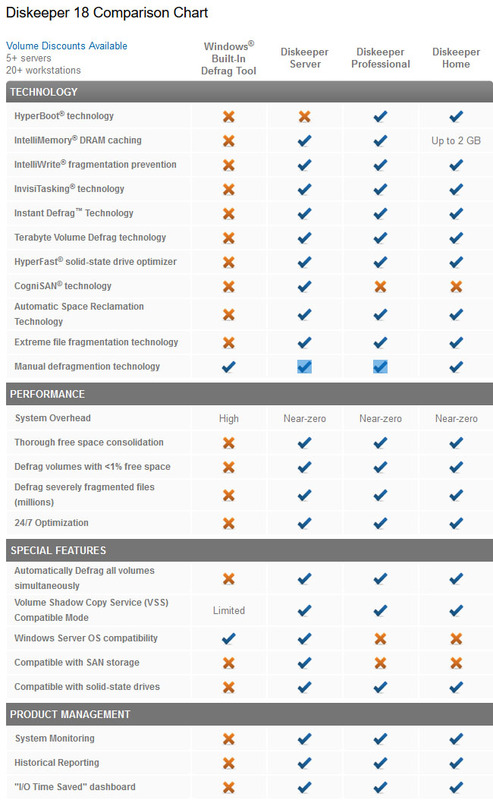 Lower your operating costs and increase your server performance with Diskeeper Server edition. 12/1/2018 – Fixed 32bit patch wrong task.